Good. 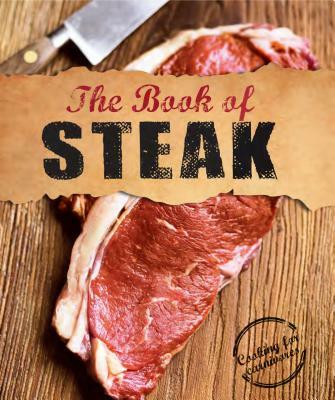 The Book of Steak: Cooking for Carnivores by Donovan, Robin, 2013-05-07. Sewn binding. Paper over boards. With dust jacket. 128 p. Contains: Illustrations. New. 1472307704 Ships from Tennessee, usually the same or next day. Very Good. 1472307704 Your purchase benefits those with developmental disabilities to live a better quality of life. some wear to DJ minimal wear on edges of cover. Fine. Connecting readers since 1972. Includes supplemental or companion materials if applicable. Customer service is our top priority.